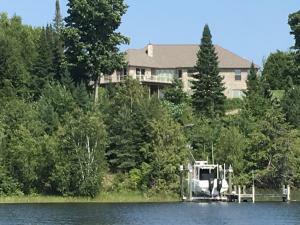 Live the Northern Michigan Dream in this meticulously maintained 4-brm, 3-bath home overlooking beautiful all-sport Heart Lake. Relax & enjoy 237' of private lake frontage with 7 additional cottages setting up as an ideal family retreat. Take advantage of year-round fishing for Walleye, Pike, Blue Gill, Rainbow Trout & more or cruise on the miles of snowmobile trails in the area storing all your toys in the recently built 32x60 heated pole barn. This home features many updates including appliances, wood laminate, new carpet, 3rd bath in basement, poured concrete patio, & exterior painting. This unique and special opportunity currently functions as a year round business. Please view the business listing #317601 for additional information and call today to arrange your own private tour! 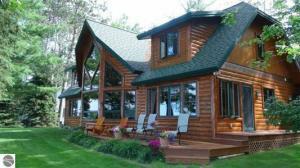 STUNNING HIGH END CUSTOM LOG HOME ( TOWN AND COUNTRY ) WITH 100 FEET ON THE SHORES OF BEAUTIFUL LAKE MARGRETHE. Gorgeous sunsets. Sandy Beach. Custom home with gourmet kitchen offering cherry cabinets, granite counters, stainless steel sink, Jenn-Air appliances, Sub Zero refrigerator with ice maker, butcher block with island/storage, large pantry, pull out drawers, spice drawers, garbage disposal. Grand formal entry into house with views of Lake Margrethe. 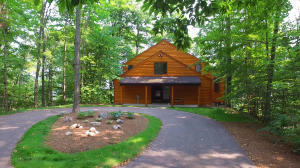 Covered Porch 6 X 8 Large floor to ceiling windows in expansive great room overlooking Lake Margrethe with beautiful views. Knotty pine ceilings with recessed lighting. Wrap around decking. Walk out lower level. Large porch for entertaining. Security System-ADI , 8 section dock, Trek decking and wrap around wolmanized deck. 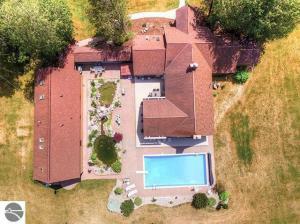 This original Boyne Falls log home was built in 1971 then enlarged in 1988 is tucked away on 120 acres just 2.5 miles from M-33, offering all the peace and tranquility you're looking for. 5 bedrooms, 3 baths and over 4,000 sqft of living space you'll have plenty of room for everyone and everything. You'll get that quintessential lodge feeling as you walk through the front door. Handcrafted beams, trim work and a natural stone fireplace make this a true Great Room. A 24x27 family room overlooks the beautiful rolling meadows. 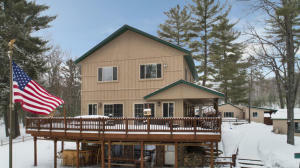 This property is full of trails for hiking & hunting. There is a 45x72 and 42x70 Morton buildings for your small business, toy collection, RV parking and more. 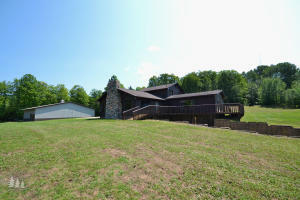 Possibilities are endless at this property start a gentleman's farm or a large family retreat. 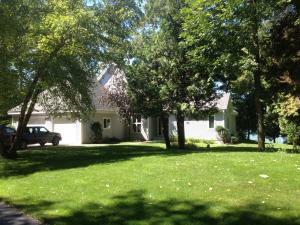 Where in Northern Michigan can you find a listing with over 400' of waterfront on the Inland Waterway with 9+ acres? 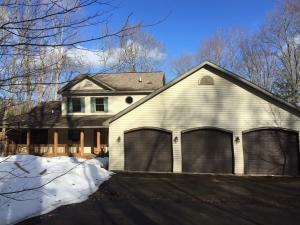 Tucked away in the woods on the shores of Pickerel Lake is this move in ready, 3 bedroom, 2.5 bath home, with a 3 car attached garage and a pole building. 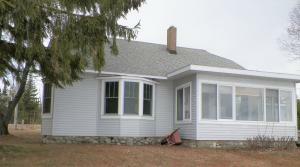 The home has a full basement with a walk out that can easily be finished off for additional living space. If you're looking for privacy this is the location! For the winter enthusiast there are many miles of snow mobile trails nearby. The 40 mile Inland Waterway allows you access to 5 lakes! All right out your front door. This is a fantastic find in Northern Michigan! DTE Energy plans to run natural gas to this area in 2019/2020. Call today to schedule a showing!